EDITOR’S NOTE (1): We simulate the prices of 42 vehicles under the final bicameral version of the TRAIN bill. Read it here. (12/14/2017). It looks like the Senate and the House of Representatives were able to reach a compromise. Rallying before they adjourn for a Christmas break starting on December 15, the bicameral committee reached an agreement to finalize the TRAIN or Tax Reform for Acceleration and Inclusion. According to Rappler, the Senate and House are expected to ratify the bicam version of the bill which affects the excise tax on new vehicles and fuel by today. The bicam version also exempts electric vehicles (EVs) and pickup trucks from additional taxes while hybrid vehicles will be slapped half the tax versus non-hybrid vehicles. In addition, the bicam also approved of an increased excise tax on petroleum products which is expected to trigger the price of commodities (and inflation) next year. The bicam version will see diesel taxed P 2.50 per liter in 2018, P 4.50 in 2019, and P 6.00 in 2020. Currently, diesel is not taxed. Meanwhile, gasoline will be slapped with P 7.00 per liter in 2018, P 9.00 in 2019, and P 10 in 2020. Currently, gasoline has a tax of P 4.35 per liter. Liquified Petroleum Gas or LPG doesn’t escape an increase too. It will be levied with a P 1.00 tax in 2018, P 2.00 in 2019, and P 3.00 in 2020. All petroleum products used as input, feedstock, raw materials for petro chemicals, and refining or as replacement fuel will be tax-exempt though. Hat tip to Paolo Sy. Why are pickups exempted from taxes? Aren't pickups being used not only commercially but also as everyday private vehicles? Yes but most pickups (60%) are actually sold outside the metro areas and are used to haul all sorts of things in the provinces, including furniture and humans hitching a ride. will this excise tax replace the current excise tax? if so, then we expect some rollback in fact on cars price 2m-4m? because cars with suggested prices of 2.1 m up are taxed at 60% before whereas this new tax regime will see it taxed at 20% from 1m to 4m? Can you confirm, what do you mean by 1m to 4m? Are you pertaining to SRP? So if the current price of the car is 4m we will add 20% to get the new price? Please enlighten us. Thank you. i do not understand it also, it is certainly not the srp for customers. i am just guessing manufacturer's cost price? or cfr manila price before taxes and all? i maybe wrong. the description on the dof website is net manufacturing / importation price. I don't get this Congress. The tax will reduce the price for almost all vehicles except those below P700K? Am I wrong? the cheapest cars will see an increase. the 1 million up to 2 million prices may see a small reduction or minimal inc depending on which tax brackets it falls. the 2 million up srp vehicles will definitely see reductions. those in the range of 3-5 m should see maybe guesstimate 100-300k reduction. lets wait for the auto websites to come up with the projected price changes. now whether we see actual reduction on jan 1 is another thing because manufacturers may claim those are existing inventories paid at the old tax regime. To be specific, it is the Senate version that pushed for the drop of the tax on the higher priced vehicles and put the burden on the mass-market lower-price vehicles since the House of Representatives version increased excise tax of all vehicles across the board without favor. hybrids will still not sell because prices may not go up after all unless there are last minute changes. and current hybrids are priced not to move at all. There are no full EVs officially in the country today. The Teslas that are here are technically grey market ones and are purchased abroad only paying import duties and tariffs here. This is likely to change starting next year as Nissan is gearing up to launch some of their EVs here to regain some market share it held decades ago. Muscle Cars (Camaro, Challenger, Mustang) stand to get the most discounts next year. The closer your Net Retail Price is to 4M, the bigger the discount becomes. A 4M car will be 800k cheaper next year, while a 4.2M car will be more expensive by 6 figures. Hopefully this will be the case. That's not how excise taxes work. It works like tax brackets and a 4M net manufaturer's price vehicle now would have an SRP of 8M. This is effectively a blanket decrease in taxes for all expensive cars. Currently the tax of a 4M and above Net Manufacturer's Price car is 1,652,000 + 60% of value above 4M. Under the new rules the tax would drop to 676,000 + 50% of value above 4M. What is the current tax structure on cars again? Im on the verge of getting my Civic RS but it seems like it'll become a little bit cheaper based from that computation. I might have to think twice. Definitely agree. I, for one, don't believe this sh*t wherein the bigger problem lies on how is this money spent upon! Domino effect, gas price goes up, expenses by businesses goes up, commodities goes up, cost-cutting by these companies goes up too hence limiting job openings and/or wide lay-offs. The biggest question here should be..
1. Why can't the government declare every single centavo spent on the budget eh pera natin yun dapat alam ko kung saan yun mapupunta. 2. What are the government actions naman para mapigilan ang corruption so that the revenue won't go to waste?? If hindi kayang pigilan ang mga corrupt people to steal money from gov't budgets then how much more kung mas malaki man ang revenue eh hindi mo naman mapigilan ang corruption, ganun din.. lalo lang lumaki ang nanakaw ng mga buwaya. Because this government thinks that its people are plain stupid ! Kung sa current tax ay halos umabot na sa Php50/liter on average ang unleaded, ano ang projected ng Php7, 9 and 10?!? Php60/liter na ang gas? Hi May we know when the signed law will take effect? I am set to buy a Honda CRV, but the unit is still not available surprisingly. Realistically speaking, when will the prices be changed for the new law? Jan 1? Arent they required to publish this first? Yes they are required to publish it. If the president signs it into law today and the BIR moves quickly to publish the guidelines by tomorrow it can make it barely by January 1. Having said that there’s still no word if the president will accept TRAIN as it is. 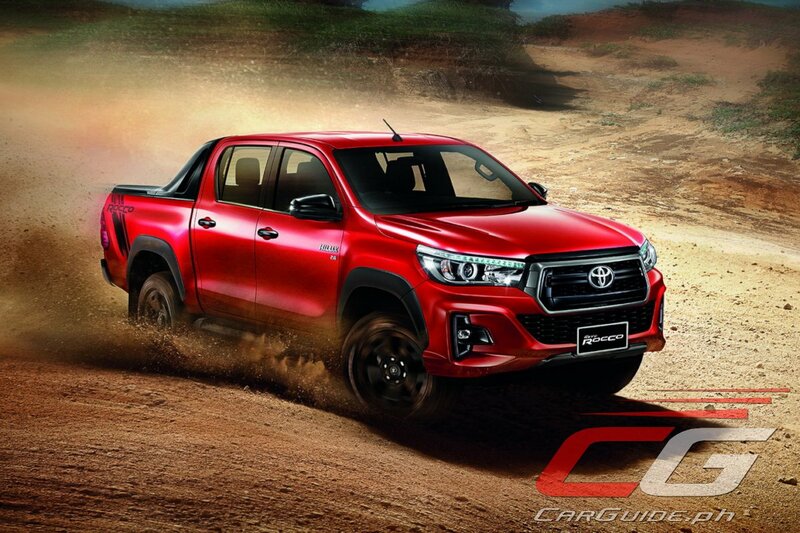 The final version exempts pickup trucks, it remains to be seen if they will make a distinction between single/double cab and workhorse/lifestyle pickups.